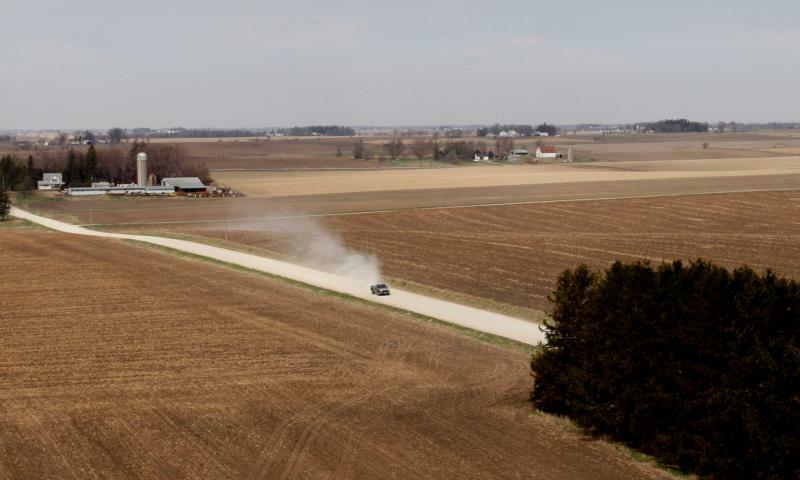 WASHINGTON (CNS) — For rural advocates, there were a lot of things not to like in this year’s farm bill. For starters, there was the zeroing out the Conservation Stewardship Program, which has a $1 billion price tag. There also was a rewrite to the federal Supplemental Nutritional Assistance Program that would kick off 2 million Americas from its rolls, more than canceling out the indexing of benefits for those remaining in the program — not to mention the imposition of work requirements to qualify for the benefit. When the House voted on the farm bill May 18, the measure’s merits were only partly considered. But what brought it down to a surprising defeat was not its content, but a vastly different subject: immigration. Some Republicans rebelled against their outgoing House speaker, Paul Ryan, R-Wisconsin, and voted no on the bill in a bid to force a vote on immigration bills that they charge have been stymied by House leadership. The turn of events left James Ennis, executive director of Catholic Rural Life, sounding shell-shocked. Ennis allowed how the thumbs-down on the farm bill could serve as a catalyst for change within it. “There’s more time for conversations with representatives who are concerned about those kinds of questions. There will be opportunities that maybe convince some to make some revisions,” he said. — The DREAM Act, which would let immigrants who arrived as minors without legal permission to stay in the United States and give them a path to citizenship. These immigrants are known as “Dreamers,” the recipients of Deferred Action for Childhood Arrivals, or DACA. — The Agricultural Guestworker Act sponsored by Rep. Bob Goodlatte, R-Virginia, that would grant temporary status for DACA recipients with renewable three-year visas and would include stronger border enforcement and legal immigration restrictions, including removing protections for immigrant farmworkers. — The Uniting and Securing America Act, a bipartisan compromise that offers a path to citizenship, mandates security cost estimates for each mile of the U.S.-Mexico border, and funds more immigration judges and lawyers. If the petition is successful, all four bills would be voted on, and the one receiving the most yes votes would be declared the winner. It would be then up to Senate to consider its own legislation. And President Donald Trump has already vowed a veto. Susan Alan, associate director of the National Farm Worker Ministry, told CNS May 21 the organization was dead-set against the Goodlatte bill. The bill, she said, would relieve employers from having to pay for transportation for guest workers or reimburse them for their costs as well as having to look for local workers to do the work, do away with the prevailing wage program based on the cost of living in different regions of the country, and take away guest workers’ right to sue for withheld wages. The National Farm Worker Ministry and a Washington-based group, Farmworker Justice, jointly urged members and supporters in a May 25 email to tell their congressional representative to reject the Goodlatte bill and the Securing America’s Future Act. Jerome’s list of improvements included more money for promotion programs that promote diverse markets for family farmers, which he called a big help “with the farm economy being where it’s at right now.” Improvements in the rural safety net and restoration of the Conservation Stewardship Program also rank high on his list. Whether the House will send it back to committee “is another story,” he said. “They could just bring it up as is.” Jerome said he expects a new vote on a farm bill during the third week of June. No farm bill? No problem — maybe, said Catholic Rural Life’s Ennis. “They may pass a continuing a resolution. It depends how long that is,” he said. “The 2012 farm bill became the 2014 farm bill. That took two years to get agreement. I don’t think they don’t want to go down that road again, but that’s always a possibility because of the midterm elections.” The farm bill is supposed to have a five-year lifespan. NEXT: Christian crowd vows to ‘reclaim Jesus’ from polarized U.S.